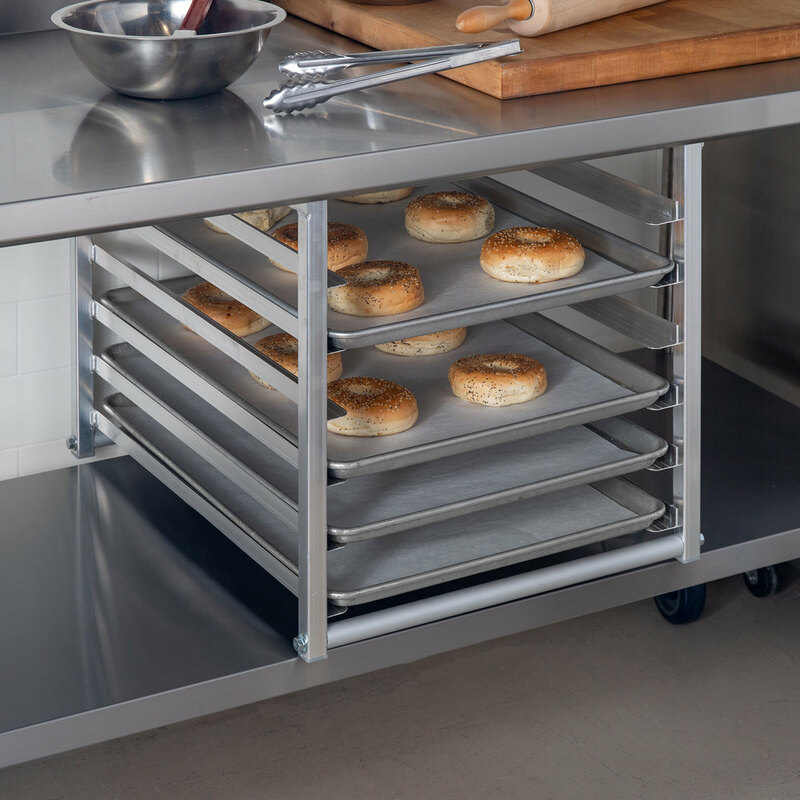 This Regency table-mounted pan rack is a great solution for applications that need a slight boost to pan storage, but don't have the space or the need for a full-size pan rack. 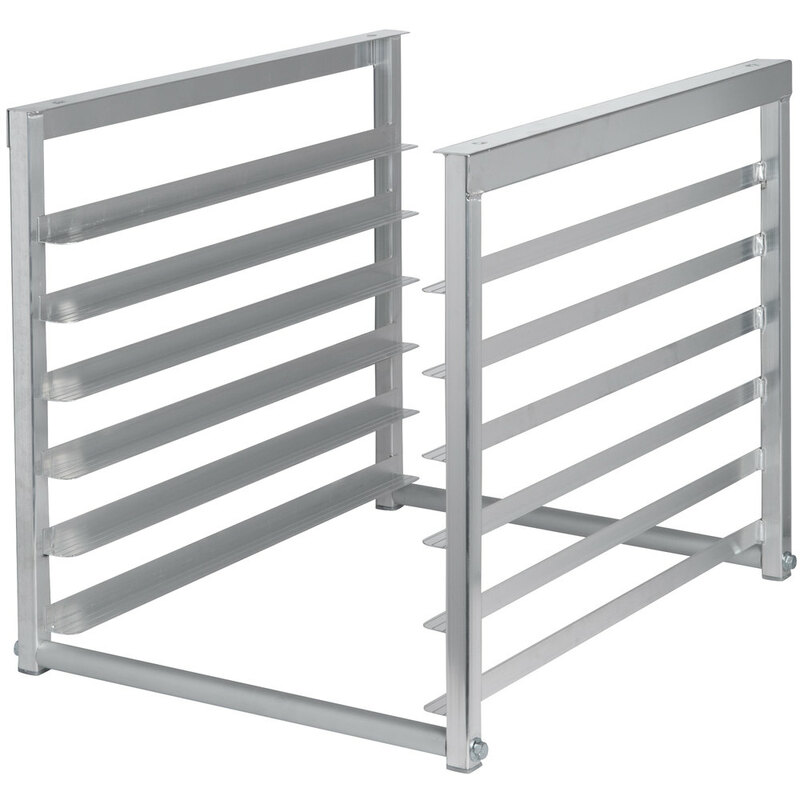 This unit mounts easily under the worktop of your worktable, provided it is 30" or 36" deep, and at least 30" long. 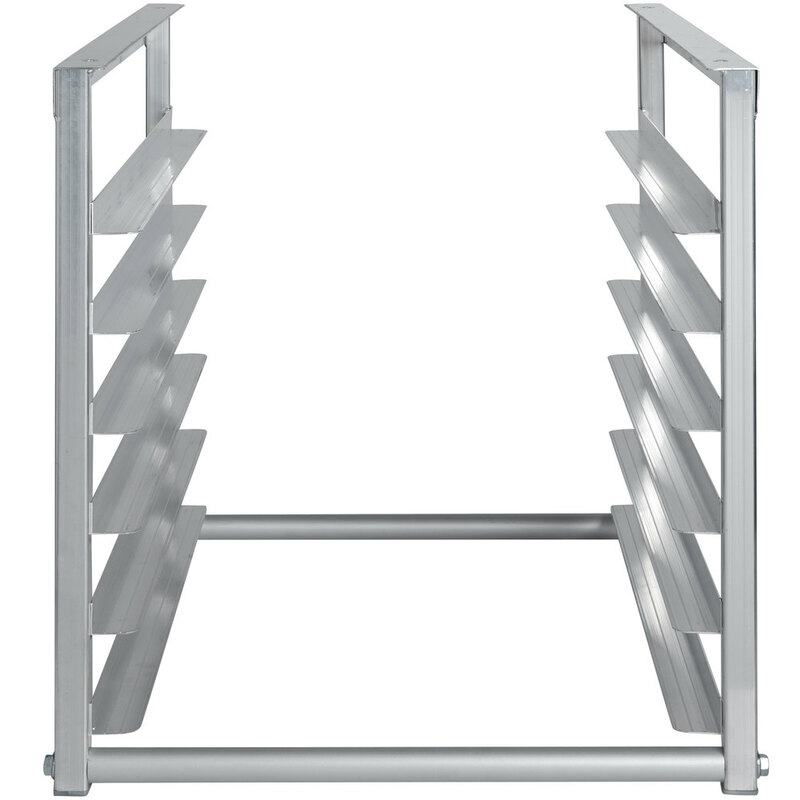 It's a great way to convert unused undershelf space into a perfect pan storage solution, and it is made from 18 gauge aluminum with a 16 gauge aluminum mounting clip for extra durability. The 6 sets of slides hold your sheet pans at a 3" spacing and it ships unassembled so that you can save on shipping costs.